We compare two very similar products. Brown rice syrup vs. Honey. They look very similar, and they both offer that delicious sweet taste. So which one is better? Are they both healthy or not? You’ve probably used one or both of these products to help add sweetness to food you eat. Or, as a substitute for plain old sugar. Whatever it may be, and however similar they seem to be there are apparently quite a bit of differences between honey and brown rice syrup. And we get to the bottom of them. 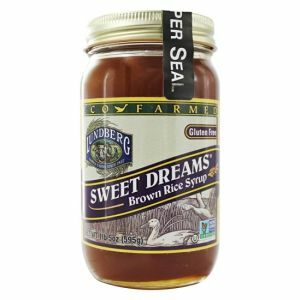 The following are some of the differences between honey and brown rice syrup. Note that there are other differences. But we’ve focused on the more important ones in order to explain them better. Brown rice syrup is derived from brown rice. This is done through a process that involves exposing cooked rice to enzymes. As a result, this breaks down the starches and turns them into smaller sugars. The process is completed by filtering the impurities. On the other hand, honey is made from natural nectar. This nectar is collected by bees and stored in honey combs. 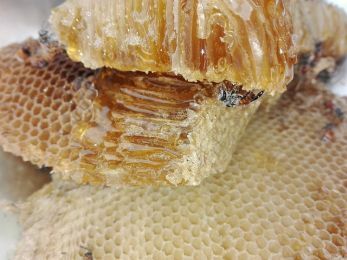 You’ll find beekeepers tending to these and then taking them out when they’re ready. Nectar is made of sucrose and water. To make honey from nectar, bees add certain enzymes. This creates additional chemical compounds that in return help convert the sucrose into glucose and fructose. Brown rice syrup contains three sugars: maltose, maltotriose, and glucose. Unfortunately, none of these are really healthy for you. On the other hand, honey contains mostly glucose and fructose. It also has some water in it, minerals, pollen, vitamins, and proteins. Brown rice syrup contains small amounts of potassium, zinc, and calcium. In contrast, honey contains several important nutrients. These include vitamin B6, niacin, thiamin, riboflavin, as well as certain amino acids. Additionally, honey also contains a number of minerals, including calcium, manganese, copper, phosphorous, potassium, zinc, and magnesium. Honey is a natural sweetener that also has antioxidants in it. These antioxidants are associated with anti-ageing properties. Antioxidants help eliminate free radicals, which lead to premature ageing as well as other health problems. Honey is also free of cholesterol and fat. This means that honey is good for your overall health. 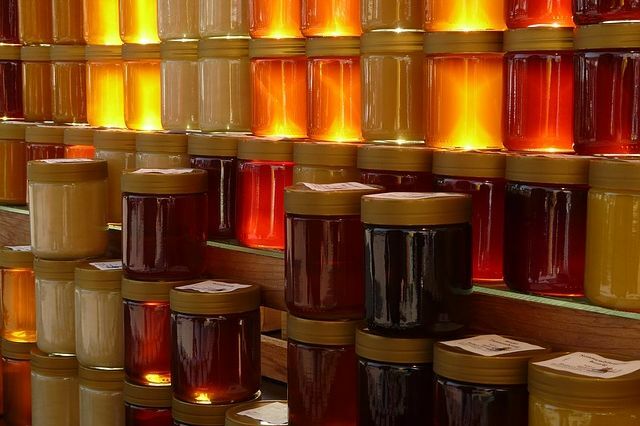 It bears noting, that when choosing between the different colored honey jars in the store, the darker honeys have a higher level of antioxidants compared to lighter colored honeys. On the other hand, brown rice syrup is not associated with such benefits. When brown rice syrup is broken down in our intestines, it becomes glucose. Nothing else. So, it does contain a lot of energy just like most other refined sugars. Apart from that, it is low in nutrition value. Honey is listed as a demulcent by the World Health Organization (WHO). A demulcent is a substance that helps relieve irritation in the mouth or throat by forming a protective film. Honey also works well as dextromethorpharn, which is a common ingredient in OTC cough medications. This sweet golden colored liquid is associated with antifungal, antibacterial, and antioxidant properties. These properties make it ideal for healing wounds. One of the reasons that DIYers use honey for treating wounds and burns. 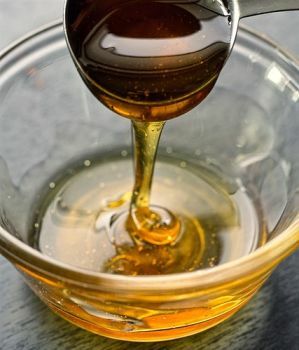 Honey that is diluted with a small amount of warm water is known to help improve seborrheic dermatitis, a scalp condition that leads to itching and dandruff. The Glycemic Index (GI) is used to measure how foods raise blood sugar. The higher the GI, the less healthy they are because they cause a bigger rise in blood glucose after you consume them. Brown rice syrup is associated with a very high GI, which can lead to health problems. Because of this fact, eating large amounts of brown rice syrup can raise your blood sugar and insulin levels rapidly. This can lead to hunger and cravings later on. According to the Sydney University data base on GI, brown rice syrup has a GI of 98. This makes it higher than most sweeteners on the market. Honey on the other hand is not associated with a high GI. It is therefore a much healthier alternative to brown rice syrup. However, it’s still sweet and its GI is still in the middle between 55 and 60. So it isn’t a great idea to consume a lot of it regularly either. Some brown rice and brown rice syrup contain trace amounts of arsenic, which is a toxic chemical. However, the FDA claims that the amounts of arsenic are too low to cause any harm. 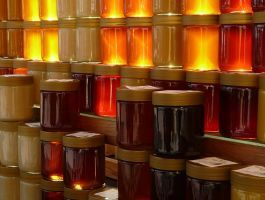 Honey on the other hand, is a purely natural product that is not associated with any health risks. This one isn’t even close. When it comes to flavor and sweetness, you may have your own preference between these two products. They’re both effective as far as being sweeteners. However, when it comes to everything else, honey is the clear winner. It is healthier. It is natural. And it doesn’t harm your body with its ingredients. None of these you can say for brown rice syrup. In addition, honey comes with a lot of other very beneficial properties including being anti-inflammatory and antibacterial. Don’t forget that it contains antioxidants as well. So the next time you’re looking for a sweetener, and you looking at these two products in the same shelf, skip the brown rice syrup. Go with the honey instead.